It’s been a while since I was planning this post as this topic is very important for many reasons. One and the most important of them is a final RESULT of your engagement or family photoshoot. As a photographer I want to make your experience awesome from the beggining till the end. I’m looking for the best light as it changes a lot through the day. That’s why I decided to specify step by step what I personally recommend my clients. Let’s see the main 2 rules of a great photoshoot planning. Around 2h before the sunset. First two options are famous by the name “golden hour” and actually it’s the best time for taking photos. Normally, it’s 1-2 hours after the sun came up or before the sunset. Basically, is the time when the sun is situated lower on the sky. This light creates soft orange – golden light and it gives that special warmth to your engagement or family photographs. Eventually, we are lucky enough as Barcelona has around 300 days a year of sun. What means, we have the privillage to admire the golden hour almost every day. If you’re asking what about midday, well…sure we could try to do the magic, find the best spots with shade or spots with natural reflectors (walls, ground). Direct light is very harsh and it makes all those unperfections we don’t like to appear on your face. So, it could be done with some special conditions and tricks. Anyway, me or any other photographer will always kindly ask you to choose between 1st or 2nd option. And finally, what about overcast day? You probably will be surprised, but I prefer overcast day over the harsh midday light. It’s quite simple, as the clouds works as a natural difusser and makes that harsh light looks softer on the subject. 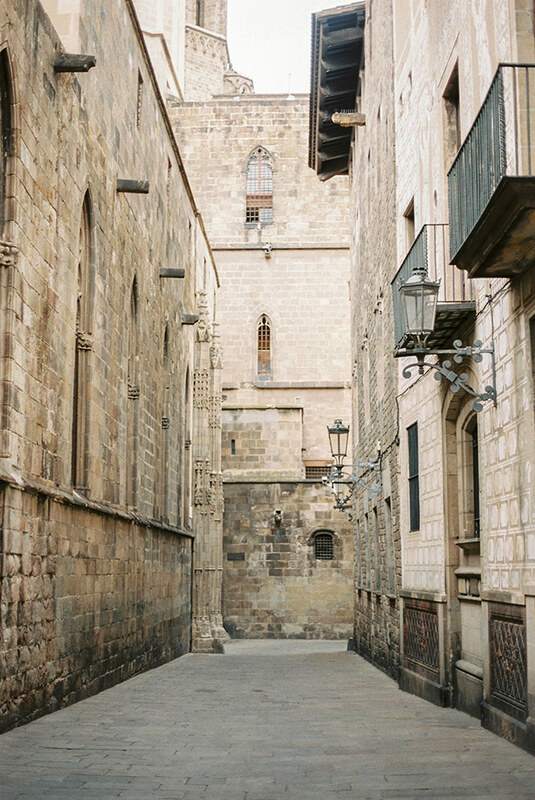 In other words, we can schadule your photo session in Barcelona for any time of the day. Yes yes yes! You are coming to Barcelona (or even if you go to Paris, Rome or any other big city) where thousands of people start snuggling on the streets around 9-10am and until late night. Barcelona is touristy city and we should admit it, even though I try to find a solution of how to take pictures and get a great result. So, if we sum up and then substract, we can find out that actually the best time without any doubt is early morning. Especially if we talk about such a famous spots as Park Güell or Gothic Quarter. 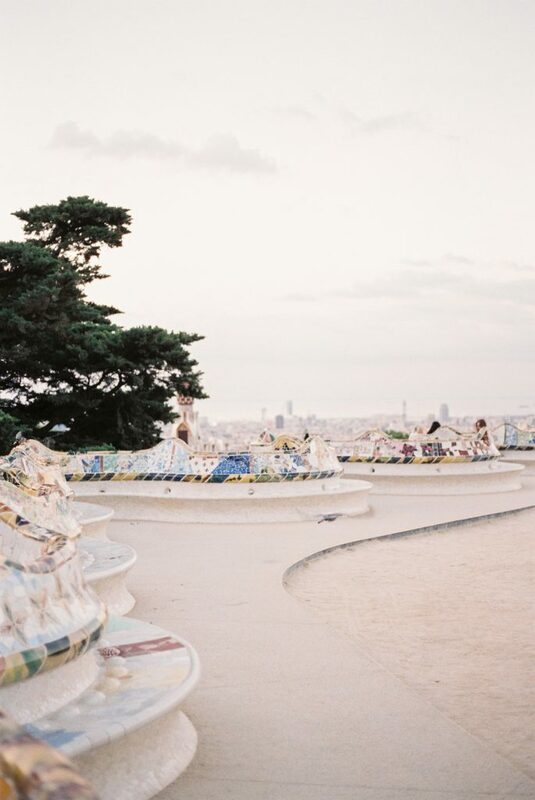 On the photo above you can see an absolutely “zen” moment at the Park Güell. It was mid of July, 6am in the morning right before the sunrise. The other reason of why it’s a perfect time when the sun is coming out – it’s not so hot! You can enjoy every minute spent there in absolute calm, every minute of the photoshoot without stress and the need of waiting until someone will give you an opportunity to take a photo on the most demand spots. Oooh, why didn't you send me an email? Unfortunately, I've just seen your message.